The garden is starting to produce its first fruits of bounty. To celebrate, I made grilled veggie sandwiches! Here is our first beautiful zucchini of the season. I couldn’t wait to pick and cook him up! The recipe for these delicious sandwiches is very simple. Take as many fresh veggies as you have in the fridge and dice them up. 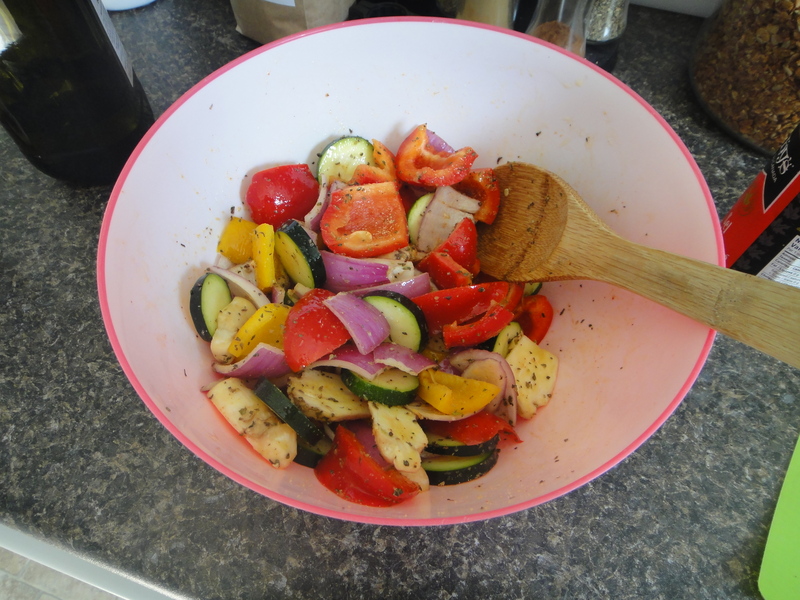 I used zucchini, red peppers, red onion, and mushrooms. 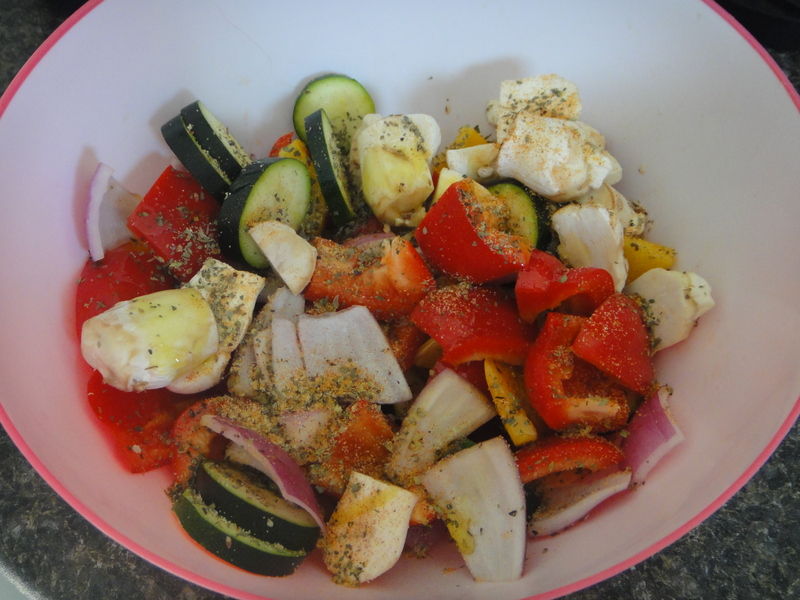 Add some Italian Seasoning and olive oil. Mix it all up so that the spices are distributed evenly. 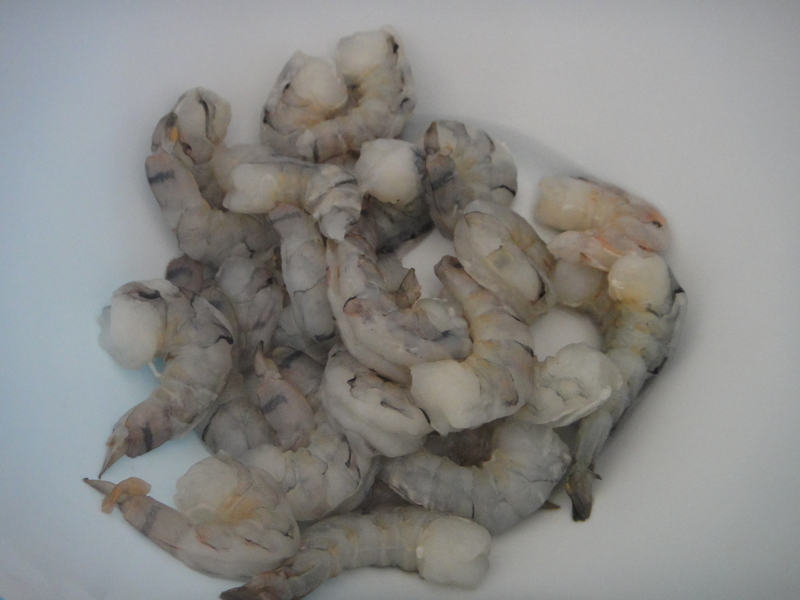 Thaw and peel a pound of tiger shrimps. I started off by grilling the veggies by themselves for about 10 minutes, then I added the shrimp at the end, so not to overcook them. I toasted bread on the grill and melted the cheese onto the toast. Toss the filling into the bread and enjoy on a warm summer’s evening. Wash and dice veggies. Add spices and oil and grill on low for 10 minutes. Thaw and peel shrimp. 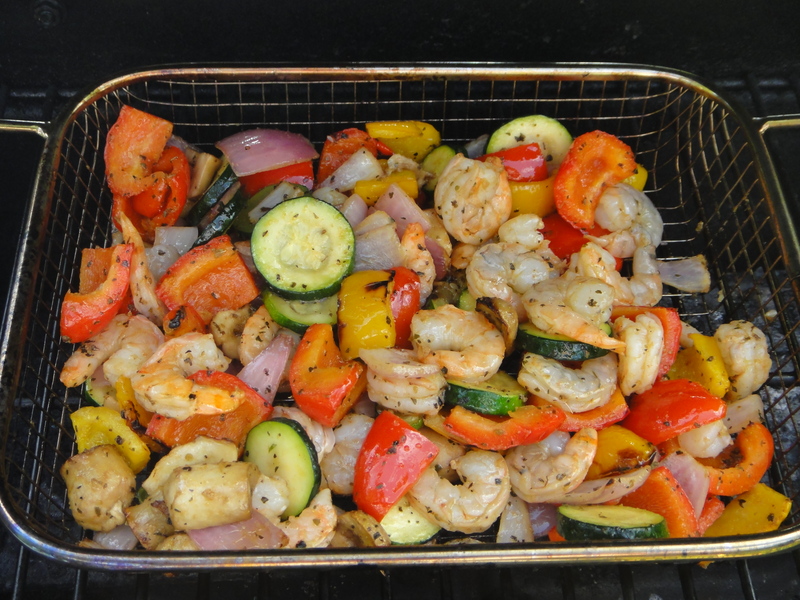 After veggies are almost cooked, add shrimp to grill. Cook until shrimp are pink. 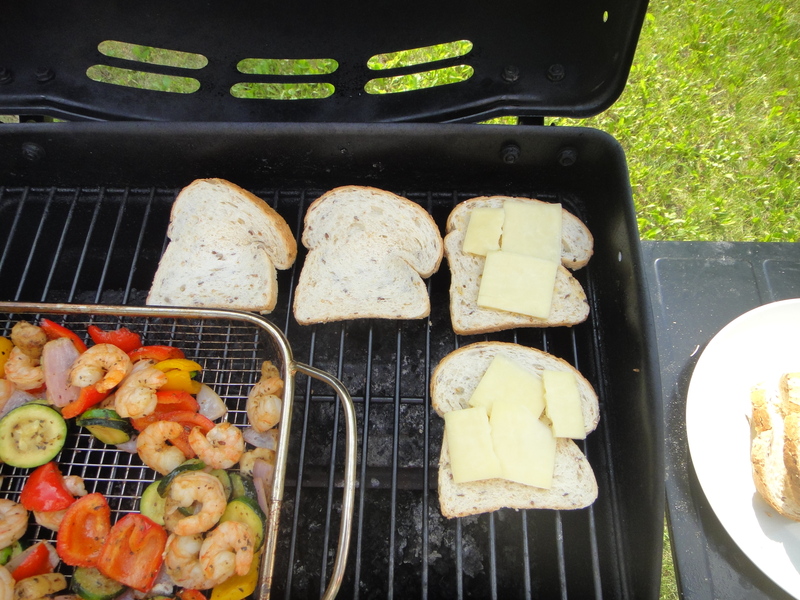 Toast bread on the grill and melt the cheese. 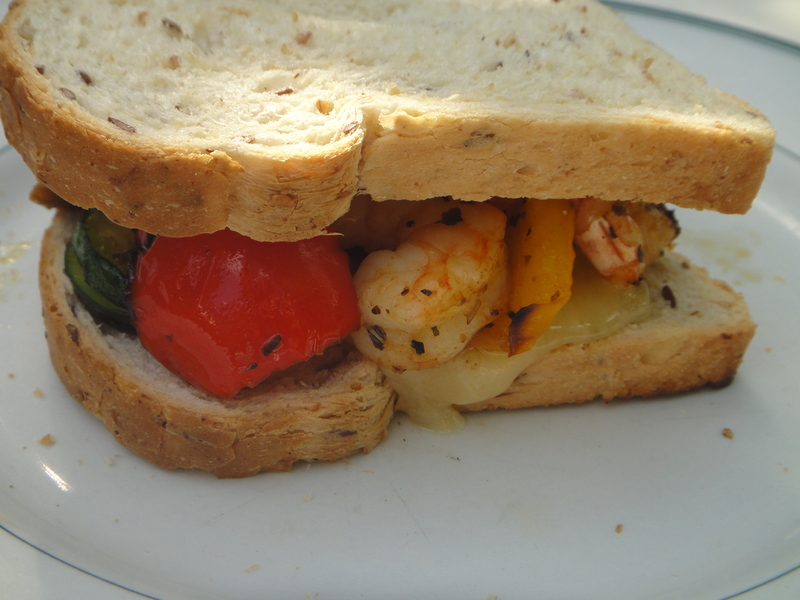 Load the sandwiches with veggies and shrimp. Eat in your backyard, surrounded by summer beauty.